The Allegheny County Pretrial Services Department works behind the scenes to provide information and make recommendations to judges who have to make rapid and critical decisions at Motions Court almost every day of the week. 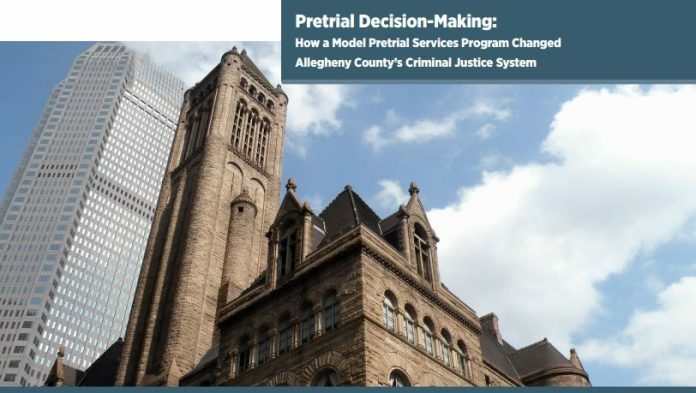 Created in 2007 by combining the bail agency and three other programs that work with defendants prior to trial, Pretrial Services has become a national model for how to handle pretrial decision-making in a more consistent and equitable way. This report describes how the Pretrial Service Department was created, how it functions, and the impact it has had on reducing unnecessary arraignment delays and jail stays.